Dance Mogul: What was it like growing up in Tel aviv? Idan Baranes: Life in Tel-Aviv is literally living on a fast track, as it is anywhere in Israel. Not like in the US, where regions of the same city can be very different in any way thinkable. Israel is tiny, we all share the same characteristics as a people. The fact that we all share a responsibility and serve 2-3 years of our lives to the IDF- Israeli Defense Forces as mandatory duty as we finish High-School creates a society with strong morals of friendship and brotherhood yet at the same time deals with extremely stressful conditions since we all compete for the same jobs, academic education and such. Life here is very extreme- which makes it difficult yet interesting. Idan Baranes: Truth be told, I started off as a soccer player – soccer in Israel is similar in its popularity to Football and Baseball in the US. Even though I was completely devoted to my soccer career opportunities, dancing was in my soul constantly. Cable T.V came late to Israel- I was 7 years old when I was first introduced to MTV. I was first exposed to B-Boying when I was 15, while watching a RUN DMC video (“It’s Like That”), I was hooked from that moment on, finally I found the type of dance I related to. As I turned 19, a soldier in the IDF, I quit soccer as a result of an injury and decided to follow my dream of B-Boying, since it was extremely underground, it took me a long time to find people with whom I could practice and learn. Finally I did join a group and together we practiced every day. 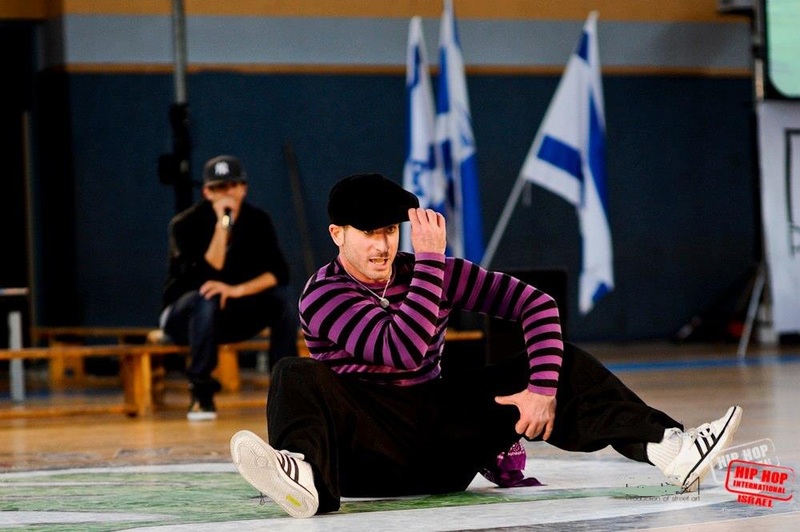 Breakdance was still relatively unknown so it felt as though I was taking part of something new in Israel. It was a great feeling to be one of the first B-boys. After six years of dancing, performing, teaching the field I felt something was missing and in 2008, in Germany during BOTY breakdance competition, I discovered Locking- yet again a style that doesn’t exist in Israel. That was it for me- I knew from that second that I will do all I can to learn the style, practice it and bring it to Israel’s awareness. Dance Mogul: Where your parents supportive of dance? Idan Baranes: My parents were never against me dancing but they weren’t actively supportive either. I did my thing and they were relatively neutral. It was only after I finished my degree (B.Sc.) and got married, when I decided to start a dance center in the city where I live that they expressed their fear that this sort of business will not be a good financial resolution for me and my wife, but soon enough they realized that such a business can be lucrative depending on how you manage it. Dance Mogul: Why the style of locking out of all the styles? Idan Baranes: Simple. It’s the joy of life that lies in the dance that I love so much. It’s the knowledge that I can bring forth my joker, fun, creative side to life within the technique. There is no dissing, no lack of appreciation between people as there’s in B-Boying. The second I understood I could only learn the dance in the US I made all the arrangements necessary and in the summer of 2009 my Locking Journey began. It started with Shock a Lock- my mentor who not only taught me the technique but also trusted me with his wisdom and knowledge. His way of teaching gave me a strong sense of mission, after a month of one-on-one training I continued to L.V, to Greg Campbellock Jr’s “Elite locking camp” where I met lockers from around the world. My mission was clear- to bring locking to the Israeli oblivion. Dance Mogul: What are some of your goals you hope to accomplish in your country with dance? 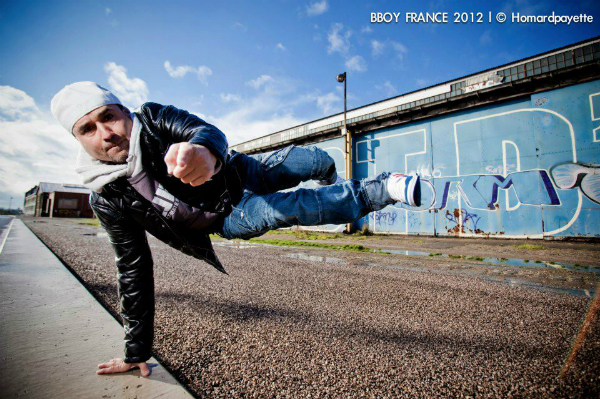 Idan Baranes: The breakdance scene evolved a lot in the duration of 13 years. There are crews and individuals that represent our country in different battles and occasions around the world. The Popping and Locking scene, however, is terribly small, especially locking. My biggest aspiration is to educate young dancers properly- as they say- “educate before you recreate” just a hand-full of dancers, eager to learn the true essence of the dance can develop a true locking scene that eventually get to compete around the world and put us on the map (Locking wise). That is my ultimate goal. Beyond that, of course to continue my personal journey in the field and hopefully gain recognition in the world. Dance Mogul: Do you think dance can be used as a away to unite countries in the middle east? Idan Baranes: I’d rather not get into politics, in my opinion that’s where things turn sour. I only hope that we could be united as human beings and set aside any hatred or misunderstandings we experience. In the circle, in the scene, no one cares what you beliefs are, only that you love dancing and that’s what matters. Dance Mogul: Are the kids interested in Dance? Idan Baranes: There’s an on growing interest in hip hop culture in the past 5 years, more and more kids are into the different styles, the average age moves between 14-16 and today there’s a substantial amount of teens. When it comes to Locking, the road is still long but the word is spreading. Dance Mogul: What do you want your legacy to be? Idan Baranes: One of the animated films I like is “kung-fu panda There’s one sentence in the movie that I’d like to quote as the answer to your question: “the past is history, tomorrow is a mystery but today is a gift- that’s why they also call it- present!” I don’t know what I want the future to bring but I want the present time to be with meaning. It’s very important for me to leave a legacy of campbellockers who respect the dance style, the history and the people who created it. Dance Mogul: Is there anyone you want to thank? Idan Baranes: I want to thank my mentor Shock A Lock for teaching me everything I know about locking and for helping me find my own special depth within the dance, also for giving me the strength to understand that with every knowledge comes responsibility. Most of all I want to thank my wife, Donna, for giving me the strength day in and day out to better myself in the field but most importantly to not give up my vision, for helping me overcome every obstacle along the way and finally for filling me with the belief that everything is possible, without her, I wouldn’t be where I am today.